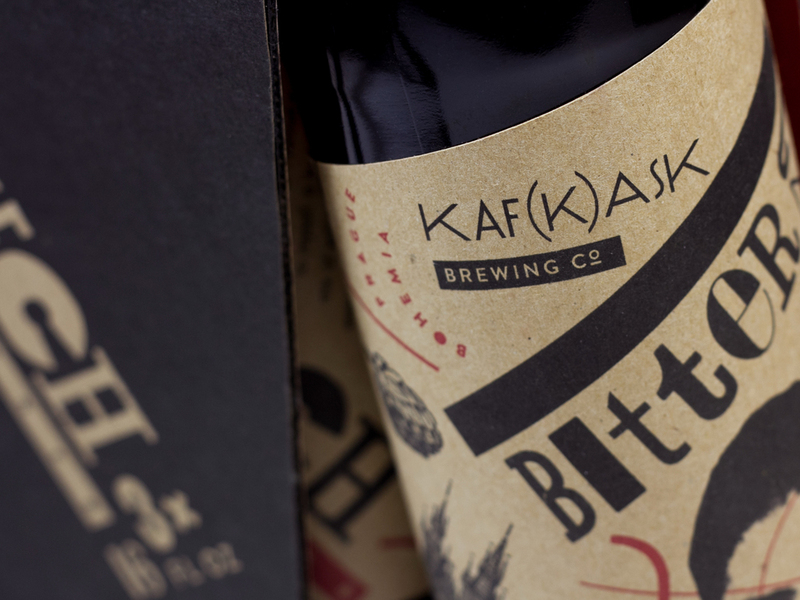 This is a packaging design for Bitter Czech Pilsner beer by a fictional Kafkask brewery based in Prague. The name is a wordplay on the term Kafkaesque, that describes the surreal situations like those in Kafka’s writings, and cask beer. Hence, the packaging design is bathed in the surreal elements. The concept was developed to visually communicate Kafka’s bizarre and illogical situations, and was inspired by Dada art, which was prevalent at the time of Kafka's writing.